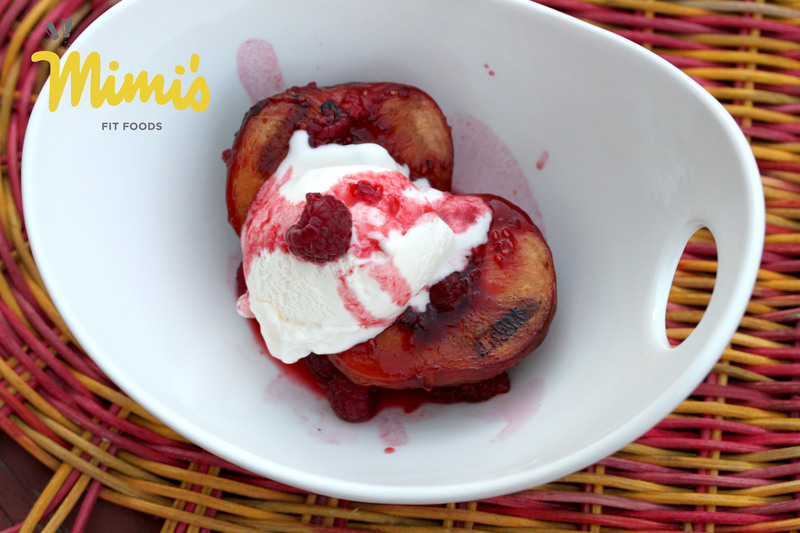 Have you ever had grilled peaches before? They are delicious and make such a sweet little dessert without loads of calories. We have them every fall when the peaches are in season. I tried this new variation of them and they turned out so awesome. The peaches get to take a 30-60 minute soak in a flavorful marinade made up of brown sugar, lime juice, and raspberries. Holy moly! So good, right!? This marinade just adds an extra fabulous layer of taste to the grilled peaches and we were all smitten at our house. The grilled peaches are delicious plain (well, topped with a little extra marinade, of course) . . . especially if you’re using them for a side dish. If you want to take them to an extra dessert-ish level, you can add ice cream. We totally did this (because, why not!?) and we chose to top our peaches with Dryer’s Slow Churned Frozen Vanilla Yogurt. YUM! Comine sugar and lime juice in a shallow dish; mix well. Add 1/2 of the raspberries and mash. Add peach halves, turning to coat and marinate at room temperature, cut sides down for 30-60 minutes. Clean and pre-heat grill to a medium-high heat. Coat grill rack with oil and place peaches cut sides down (save marinade). Turn peaches over after two minutes, reduce heat to low-medium, then cook for another 15 minutes or until tender, basting once with half of the reserved marinade. Remove from grill. 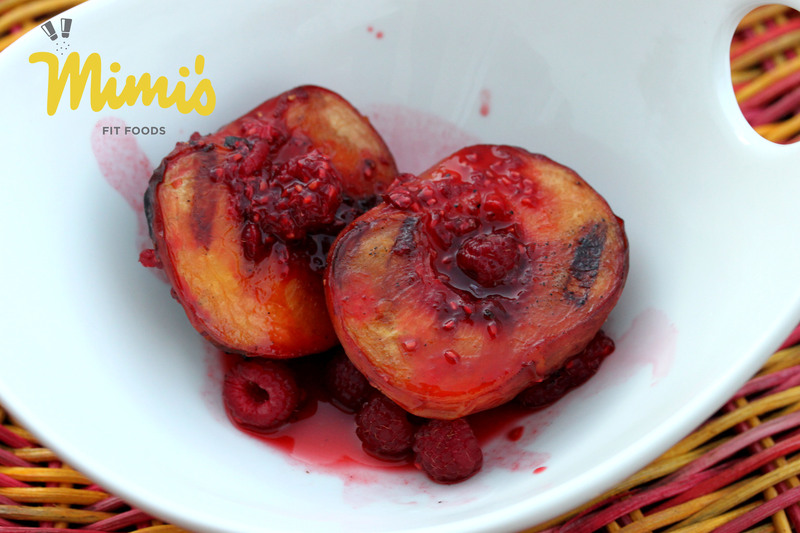 Stir remaining raspberries into reserved marinade and spoon over peach halves. Serve warm (and top with your choice of ice cream, if desired).